Thailand – the Land of Smiles, of ever cheerful faces,of positive,generous,helpful,friendly and happy people. It is famously said that it is one place where even the immigration officials have a broad smile on their faces. Thailand ranks among the top 50 happiest countries in the world. One of the reasons according to them is the delectably flavored ,soul hugging Thai cuisine which brings those content smiles on their faces. They are passionate about their food. Thai recipes are known to be handed over generations. Their exotic cuisine is a harmonious blend of sweet,sour,salty and spicy flavors.From mild to hot, it is cooked to suit individual palates. The chefs of Thailand take pride in presenting the traditional dishes as works of art, all the while preserving the interplay of aromas and flavors and finally serving it with warmth and smile. 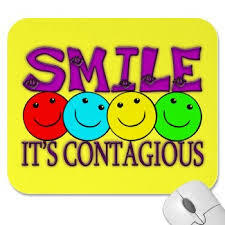 We are so caught up in our daily routines,our work schedules,deadlines,stress that we have really forgotten to smile. We dress up for that important meeting or that party we have been waiting for but forget wearing a smile. 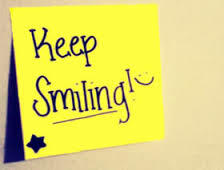 Let’s start smiling because it is the one curve which makes things straight. 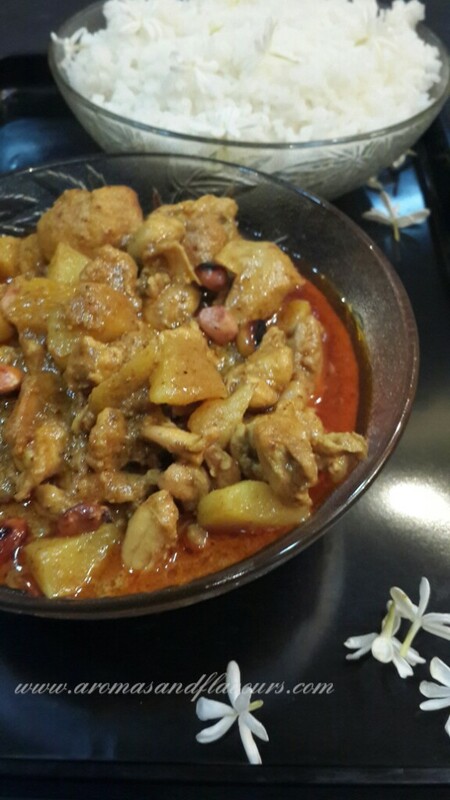 This chicken curry, straight from this beautiful land is a heart warming,delicious comfort food. 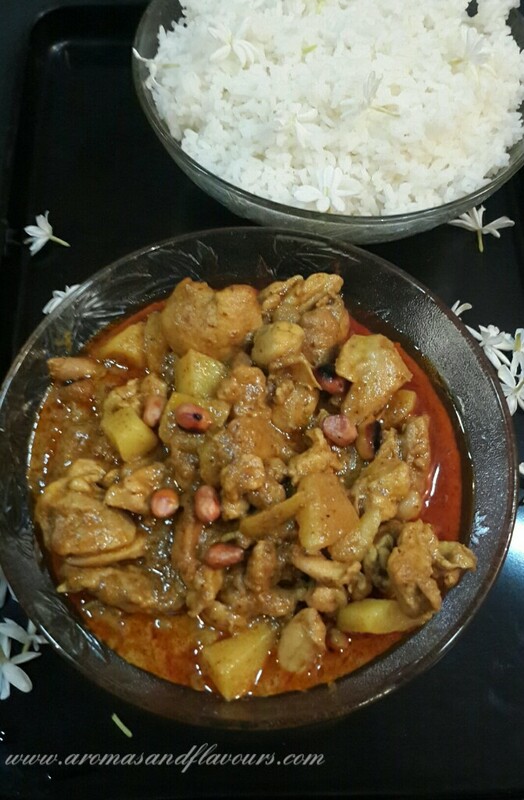 Serve it with fragrant Jasmine rice and watch the smiles on the faces of your loved ones. Heat oil in a wok and saute onions till soft. Add curry paste and saute for a few minutes till fragrant. Add chicken pieces and potatoes and saute till well coated. Pour in the coconut milk and an equal amount of water. Bring it to a boil on high heat.Cover and simmer on low heat till chicken and potatoes are done. Stir in the fish sauce and brown sugar. Sprinkle peanuts and serve hot with Jasmine rice. This is exactly what I’m making for dinner tonight but with brown rice and I only have russet potatoes. Oh yummm Ana, it’s getting close to dinner time, and I’m salivating :). Funny, I don’t cook Thai curries as much, although I know I would like to. Perhaps because I’m a tad leery of the coconut milk? This looks gorgeous, I’ll have to throw caution to the wind and indulge :). I’ve heard of red and green Thai curry pastes, but I don’t believe I’ve seen yellow? Yellow paste is easily available at Asian stores Loretta. Thai curries are de-stressing and very comforting. They guarantee a good relaxing night sleep. Yellow curry paste can be made at home too with the following ingredients: Lemongrass, Yellow Chillies, onion, Ginger, Coriander powder, galangal, kaffir lime, Mustard Seeds, Fish Sauce, turmeric, Brown sugar, lemon Juice, Coconut Milk, Garlic. You made me smile. Thanks. Lovely food styling and a nice recipe. The peanut touch is very unique! 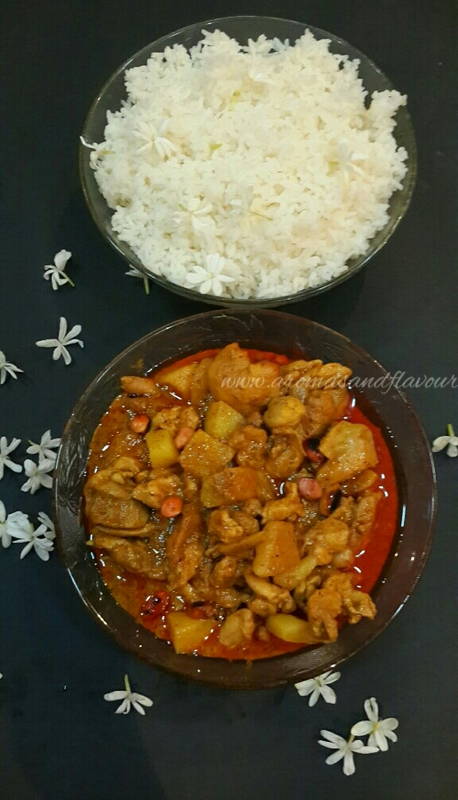 I have been craving a sweet and spicy chicken dish and there you are skd just coming up with a fix to my cravings! I will be making this one! Everything you wrote about the people of Thailand is actually true; especially at the northern parts. Foodwise…what can I say, I’m in love with it!! Even when we made a stop outside of Chiang Mai, the food at the small place mainly used by local drivers was excellent. Of course I tried it & of course I ordered a second full course!! What was the best part skd? Thank you dear Vidya. Kerala cuisine right? I don’t make Thai food often too Judi. But after this dish became so popular with my family I want to try more of them. Thailand truly is the land of smiles (and with food like this who wouldn’t want to smile??) Thanks for sharing! I’m a big fan of Thai curry chicken and I love how simple your recipe is. Pinned for later! Thank you dear ☺ It is so delicate on the palate yet very aromatic and heart warming. I went to Thailand in 2007 and I was amazed with how the Thai people were the happiest despite not having many possessions. It just shows that money can’t buy you true happiness. ☺Please do. 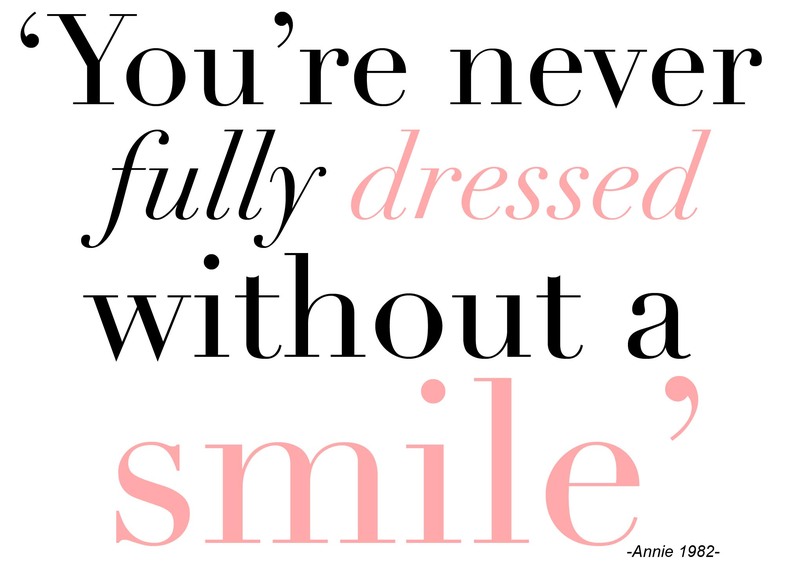 It will bring a smile on your face.